Published on October 31, 2014 by Martyn. Be the first to comment! Copies of the Polish edition of Flip arrived this morning, following its publication there earlier this month. It was my first glimpse of the cover design (which I’m pleased and relieved to say I like very much!) And they’ve kept the English title, too. This edition is published by the Foksal group, based in Warsaw, which will also be bringing out my second teen/YA novel, Never Ending, in due course as part of its growing list of young adult fiction. 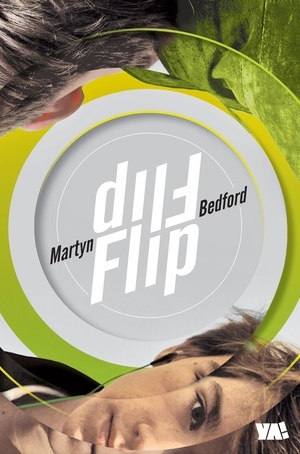 I am grateful to Tatiana and Piotr Grzegorzewska for their work and skill in translating Flip.